I really like Social Science books. I find them fascinating and, usually, helpful. But more and more I am realizing that they can be self-defeating. I just finished the book Future Babble. The thesis of the book is that “expert predictions” are generally terrible. The more confident the person making the prediction, the less likely they are to be right. There’s a certain guilty satisfaction that comes from this book. You read story after story of how pompous and self-confident experts failed miserably in predicting the future. But after a little while Gardner begins to sound pompous himself and it loses its charm. But there’s a deeper problem. Why is future prediction so often wrong? There are two pillars to Gardner’s argument. The first is that the world is too complex. The second is that our brains were not wired for this kind of thinking. Gardner, like the vast majority of social scientists who I read, is functionally atheist in his writing (I don’t know his actual belief system but heaps as much scorn on “prophets” as he does on pundits.) He believes that our brains are merely the function of an evolutionary process. We evolved to survive and reproduce, not solve complex problems or look deep into the future. Our minds simply aren’t suited toward the work of making predictions. We are hopelessly biased. But if our brains are not evolved to do this kind of abstract thinking, why should we trust the author of this book? Is my brain biased to find his argument compelling? Then again, maybe I’m biased against his argument? Can I trust my brain to correlate to reality? According to Gardner, probably not. And so, as compelling as some of the points Gardner makes are, those very arguments undercut my belief that he’s even capable of making those arguments. It’s self-defeating. There’s a similar sort of self-defeating argument in Jonathan Haidt’s The Righteous Mind (a must read, by the way). Haidt’s argument is both descriptive and moral. He is describing how we make moral judgments, but he also makes implicit moral judgments about our proper response to this reality. But for Haidt, moral judgments don’t correspond to moral reality. They’re not pointers to objective right and wrong. They’re merely the result of evolution. So, while seeing moral judgments in Haidt we also see through them. His argument might be interesting, but it carries no moral weight. C.S. Lewis described this in The Abolition of Man as “seeing through” everything until there is simply nothing at all to see. Alvin Planitinga in Where the Conflict Really Lies shows how this self-defeating argument plays itself on the naturalist worldview. If our brains have not evolved to making abstract rationale judgments – only survive and reproduce in a limited environment – why should we believe our own minds in making judgments about science and God. Plantinga’s argument, then, is that there’s a fundamental conflict between science and naturalism (the belief that nothing exists outside of the natural world.) I tend to agree, and see the same truth play out in social science. There need not be such a conflict in a Christian worldview. In the Christian worldview, we should expect to see, and in fact do see, a correspondence between the observable world and our ability to understand it. The world is fundamentally complex, yes, and we struggle to wrap our minds around it, but we can understand it, and we can have confidence that we can understand it because the same God who made it, made us. 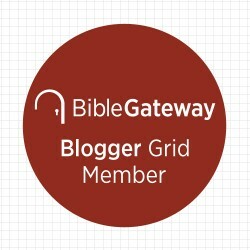 This entry was posted in Christianity and tagged .Dan Gardner, Abolition of Man, Future Babbel, Naturalism, Social Science on June 21, 2017 by stevenkopp. Is there a conflict between faith and science? I had an enlightening conversation this morning in which I was reminded that certain words have “expanded” meaning within various subcultures. 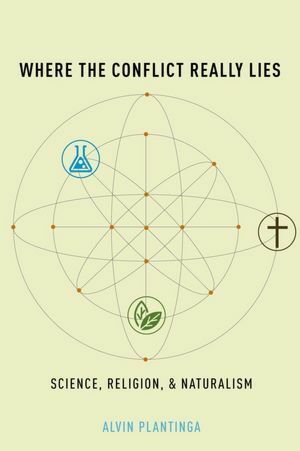 One word that isn’t used very carefully, especially in Christian subcultures, is the word Science. Sometimes we say Science to mean Science (the study of nature) and Naturalism (the philosophical presupposition that no supernatural force interacts within the natural world.) When we do this we, as Christians, tend to view Science with a negative light. If Science is Naturalism or necessarily includes Naturalism, then Science becomes antithetical to belief in an active God and therefore appears offensive to our worldview. I don’t believe this is the correct way to view Science. Science, as a method, is an amoral way to learn about the created world. You can approach it either from a Theistic or a Naturalistic perspective (see Kuyper’s wise words on Normalists and Abnormalists). We are, perhaps, accustomed to seeing it approached from the Naturalistic perspective but it need not work that way and, in fact, historically this has not been the case. Much of what was gained through the Enlightenment came from Theistic Christians who were interested in learning about God’s creation. In other words, the pursuit of scientific knowledge sprang from a religious impulse. The actual methods of Science do not change much based on the philosophical position you bring to the table. A theistic scientist will still consider the scientific method to be sound because he believes God is a God of order and not disorder and has established laws by which the universe functions. One important difference is that the Christian will not view science as his only means of knowledge. He will also look to the Biblical text. Ultimately, these are not competing sources of knowledge, though for a time they may appear so. This appearance of conflict only arises because of our own human frailty not because of any differences in ultimate reality. The conflict is superficial, not substantial. The other difference is that the Christian believes that, although the world usually functions based on the God-ordained laws of nature, God does intervene in what we might call Miracles. Acknowledging that possibility, we are not surprised by things like the resurrection of Jesus Christ. We acknowledge that for this to happen God intervened in the world and broke the rules which, as the rule-maker, He is free to do. So, Christian, do not look down or with suspicion on Science. We have gained much because of it. It is Naturalism (the philosophical position) not Science, with which we struggle. This entry was posted in Doctrine and tagged Christianity, Naturalism, Philosophy, Science, Supernaturalism on February 13, 2013 by stevenkopp. “Hence it follows that the conflict is not between faith and science, but between the assertion that the cosmos, as it exists today, is either in a normal or abnormal condition. If it is normal, then it moves by means of an eternal evolution from its potencies to its ideal. But if the cosmos in its present condition is abnormal then a disturbance has taken place in the past, and only a regenerating power can warrant it the final attainment of its goal. Materially, however, they reject the very notion of creation, and can only accept evolution – an evolution without a point of departure in the past, and eternally evolving itself into the future, until lost in the boundless infinite. No species, not even the species of homo sapiens, originated as such, but within the circle of natural data developed out of lower and preceding forms of life. Especially no miracles, but instead of them the natural law, dominating in an inexorable manner. No sin, but evolution from a lower to a higher moral position. If they tolerate the Holy Scriptures at all, they do it on condition that all those parts which cannot be logically explained as a human production be excinded. A Christ, if necessary, but such a one as is the product of the human development of Israel. And in the same manner a God, or rather a Supreme Being, but after the manner of the Agnostics, concealed behind a visible Universe, or pantheistically hiding all existing things, and concieved of as the ideal reflection of the human mind. Not fath and science, therefore, but two scientific systems or if you choose, two scientific elaborations, are opposed to each other, each having its own faith. Nor may it be said that it is here science which opposes theology, for we have to do with two absolute forms of science, both of which claim the whole domain of human knowledge, and both of which have a suggestion about the supreme Being of their own as the point of departure for their world-view. This passage was strikingly similar to the introduction to the book Where the Real Conflict Lies by Alvin Plantinga which I read last time I was at Barnes and Noble. If I ever pick up that book, you can expect to see some excerpts form that as well. This entry was posted in Doctrine and tagged Christianity, Kuyper, Naturalism, Philosophy, Religion, Science, Supernaturalism on February 11, 2013 by stevenkopp.